I was so impressed with that initial response that I changed accountants immediately. They took me on the right track straight away. Two years ago, the business expanded with the acquisition of Formlink Ltd, which was a good fit as it produced such items as labels and computer stationery which were not core business to West Port Print and Design. EQ were a huge help with this purchase, providing sound advice and help before becoming involved in due diligence. They are very in tune with our business, easy to deal with and integrate with our personnel seamlessly. They do our quarterly management accounts, so that we know exactly where we are at regular intervals, giving us extra peace of mind. Their input has helped us focus on the direction we want to be heading and where we want to be. To me, as a small business owner, it's indispensable having the back-up of a very professional firm to assist on the financial side, allowing me to concentrate on the engineering side. We use EQ Taxation for our specialist taxation advisory support and we have found them to be both practical and imaginative in delivering excellent service and highly impressive results. We have worked with the Cupar office of EQ accountants for many years now and have always received a high standard of service and advice, delivered quickly. It is always good to know that the guidance we require, whether on taxation or other financial matters, is just an email or telephone call away. 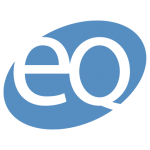 We appreciate the close relationship we have developed over the years with the team at EQ and would have no hesitation in recommending them and we look forward to their continued support in the future.